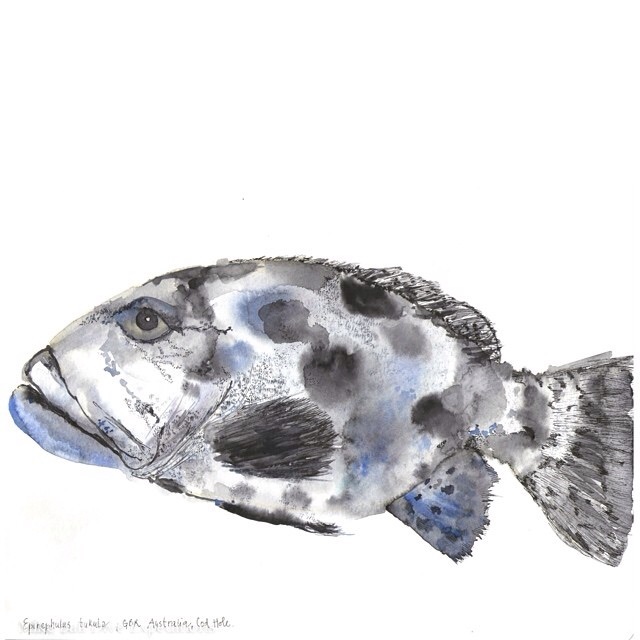 Mike Ball from Australia, the legend of a liveaboard scuba diving expeditions to the Great Barrier Reef and the Coral Sea, wrote me an email asking me about my watercolor of a Potato Cod fish. In fact, he wanted to put my illustration on their special Mike Ball’s T-shirts. I was thrilled! Noro dobro! Čestitke!!! Nisi ‘kar tako’. Just keep doing what you do sooooo well (and don’t forget the drums)!! !